What an incredible piece of multimedia design! This website for the Mirage Festival, an art, innovation and cultural festival in Lyon, is so special. With crazy animations, smart flourishes and a nod to traditional print design – this website has it all! You can visit it here to see it in all its glory! 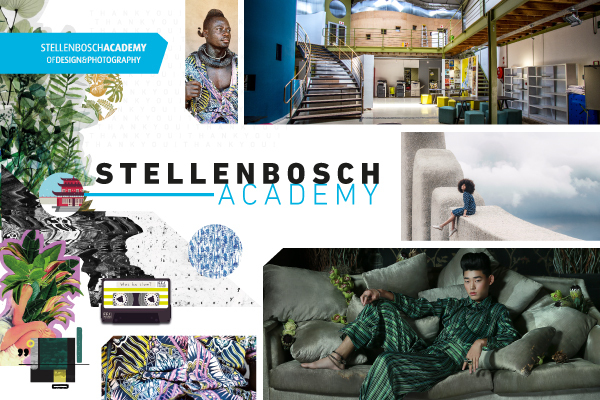 This entry was posted in Multimedia and tagged Multimedia, Multimedia Design, Web, Website on March 4, 2019 by stellenboschacademy. We’re holding a portfolio workshop at the Academy on 16 March and you’re invited! If you’d like to attend please send a mail to Louise here. This entry was posted in Academy Work and tagged Art Direction, Design, Multimedia, photography, Stellenbosch Academy on February 25, 2019 by stellenboschacademy. BASIC is a branding and digital design agency who do some incredible work. To show their skills, as well as announce to the world that they had a new office, they turned to their core competency – building beautiful multimedia experiences. This announcement takes the form of a website, where the user can investigate the thinking behind BASIC’s new building as well as hear sound clips and see beautiful images of the space itself. We especially love the way the website blends photography, design and web to create an incredibly enriching, involving experience. And to see more of BASIC’s work, we do suggest you visit their main site here. This entry was posted in Multimedia and tagged Architecture, BASIC agency, Multimedia, Web, Web Design, Website on February 18, 2019 by stellenboschacademy. This use of the web to tell a story is something that makes us very excited. It tells the terribly sad true crime story of the disappearance Wendy Jane Pfeiffer, a young Australian girl. As you navigate through the story, you uncover what really happened to her. This brings the story to life in a way you could never imagine, no longer just static words on a page or a salacious story in a magazine – this is a truly interactive way to immerse yourself in the story. If you’ve got ten minutes to spare, we strongly suggest you check this out – it’s incredible! This entry was posted in Multimedia and tagged Interactive Story, Multimedia, True Crime, Web, Web Design on February 15, 2019 by stellenboschacademy. This website by Microsoft Story Lab takes a bunch of really interesting facts and numbers about Microsoft and turns them into an interactive, interesting digital infographic. This is the perfect example of how creativity can take something ostensibly ‘boring’ and turn it into an appealing, interesting and interactive experience. Do visit the website here. This entry was posted in Multimedia and tagged Microsoft Story Lab, Multimedia, Web Design, Website on January 25, 2019 by stellenboschacademy. This website is for Uncanny Valley Studio; a Paris-based studio that makes digital installations, visuals and connected experiences. We especially love the crazy tube-like effect they used on the work, it is just so unique and out there! It feels so unlike almost any other website you’ve used before. We do suggest you check it out. You can visit the site here. This entry was posted in Multimedia and tagged Digital, Multimedia, Uncanny Valley Studio, Web Design, Website on January 23, 2019 by stellenboschacademy. They say that eventually everything old is new again. And this ‘blast from the past’ from Adidas, proves just that. To celebrate their new Yung range of shoes, which draw very strongly from the 90s aesthetic, they launched a website to match. If you weren’t on the internet in the 90s, you might wonder what’s going on here, but yes – that is what the internet used to look like back then; compete with silly gifs, busy backgrounds and some of the ugliest looking menus you’ve ever seen. You can bask in some more olde internet goodness on the site here. This entry was posted in Multimedia and tagged Adidas, Multimedia, Web, Web Design on January 11, 2019 by stellenboschacademy.